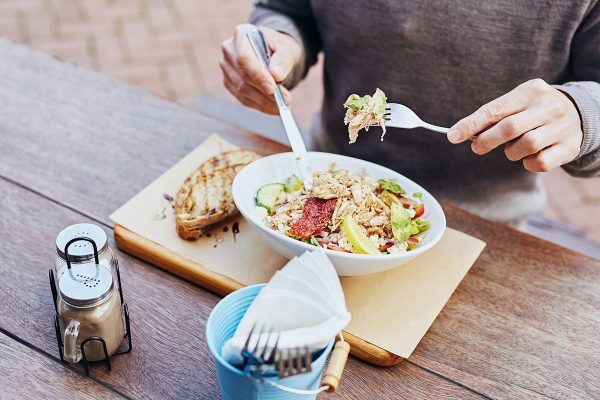 Whether you’re a full-fledged vegan or vegetarian or you choose to enjoy a meat-free meal now and then, there are countless benefits to consuming a mostly plant-based diet. “In their whole, minimally processed state, the bulk of most vegan foods (vegetables, fruits, nuts, seeds, beans, legumes, and grains) are highly nutritious. They contain fiber, vitamins, minerals, water, protein, and/or heart-healthy fats (mono- and polyunsaturated) and very little to no saturated fat, trans fats, and refined carbohydrates,” explains Julie Andrews, M.S., R.D.N., C.D., registered dietitian and chef. Some studies even show that a plant-based diet can improve overall health, reducing the risk of diseases such as diabetes, cardiovascular disease, and certain cancers, specifically colon and prostate. If you find yourself wanting to try out the plant-based lifestyle, we listed some vegan slow cooker recipes to help you get started. 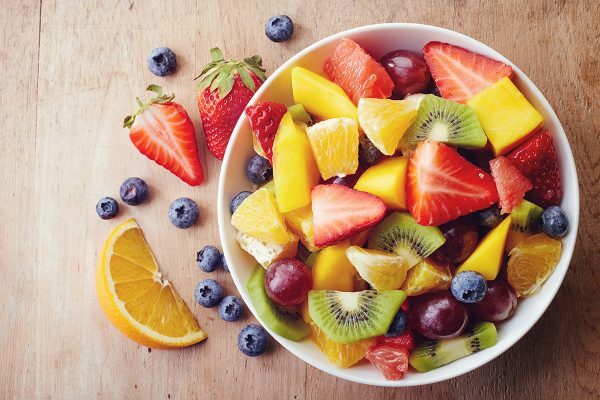 Andrews points out that following a vegan diet doesn’t always mean consumption is focused on “whole foods” such as vegetables, fruits, nuts, seeds, grains, beans, legumes, and vegetable oils. “Technically, a person following a vegan diet could consume a diet full of added sugar or unlimited servings of pasta and bread, for example, and still be a strict vegan (and we know this isn’t necessarily a good thing),” she says. “However, a vegan diet can be very nutritious with careful planning, and many people who follow a vegan diet consume a very well-balanced, healthy diet.” Here are some nutritious vegan slow cooker recipes you can whip up with minimal effort and maximum satisfaction. For a delicious yet still healthy alternative to oatmeal that provides you with enough energy to soar through a summer day, reach for this recipe. It’s packed with protein from the quinoa, plus it’s gluten-free and has no added sugar. It’s also incredibly Instagram-worthy, which is always a bonus! Put the lid on, and cook on high for 2-3 hours or low for 4-6 hours. To serve, top with fruit, nuts, and seeds as desired. This twist on the classic—and arguably American favorite—Indian dish is surprisingly vegan for its burst of flavors (all thanks to the seemingly endless ingredient list chock-full of spices!). To drain tofu, wrap in towels and place a heavy object on top (ideally a cast-iron skillet). Let sit for 20 minutes. Meanwhile, mix together all spices, and set aside. Heat the coconut oil in a skillet over medium heat, and add diced onion with a pinch of salt. Stir occasionally until the onions are translucent and lightly brown (4-6 minutes). Add the cumin seeds and cook for 60 more seconds. Add the garlic, ginger, and chili pepper, and cook for another 60 seconds. Stir in the spice mixture and cook, stirring constantly, just until fragrant, about 45 seconds. Add the bell pepper, nutritional yeast, and tomato paste, and cook for 2 more minutes, stirring frequently. Add the tomatoes and stir well for 3-4 minutes or until the tomatoes start to soften. Turn off the heat, and lightly spray or grease the bottom of your slow cooker. Cut the pressed tofu into small cubes, and add it to the slow cooker. Use a spatula to add all of the skillet mixture. Add the coconut milk, white wine vinegar, and coconut sugar, and stir to combine. Season to taste with additional salt and fresh lemon juice, and serve with rice or accompaniments of choice, garnished with fresh cilantro. Not only is this a vegan slow cooker recipe, but it also ensures you’re getting foods that are a “complete protein,” meaning they contain all nine essential amino acids, explains Carissa Bealert, R.D.N., certified personal trainer. “Most meats that a non-vegan would eat fit that bill. But it becomes harder for a vegan,” she adds. Place all ingredients in a slow cooker, and give it a good stir. Cover and cook on high for 3 hours or low for 6-8 hours (or until the quinoa is fully cooked and the sweet potatoes are at desired texture). What’s better than a savory taco in the summertime—or any time of year? Nothing, we agree. This vegan slow cooker recipe is loaded with good-for-you fats (omega-3s) and four grams of protein from the walnuts. Place the onions, carrots, mushrooms, garlic, beans, San Marzano tomatoes, water, chili powder, cumin, adobo chiles, and salt in a Crock-Pot. Stir and cover, and then heat on low for 6 hours or high for 4 hours. When the bean mixture is done, lay out two corn tortillas and layer the bean mixture, California walnuts, shredded cabbage, juice of half a lime, and a slice of avocado to each.